True is to say that it's a hard job to stay on top and remain in control of cloud computing spending. There is a tool I recently used, it didn't only provide us with awesome visibility over our Azure spending but also recommendations to trim/eliminate waste spending. Let me introduce you Overcast. Disclosure: Before going further, I must come forward and say that I work for the company that created Overcast. 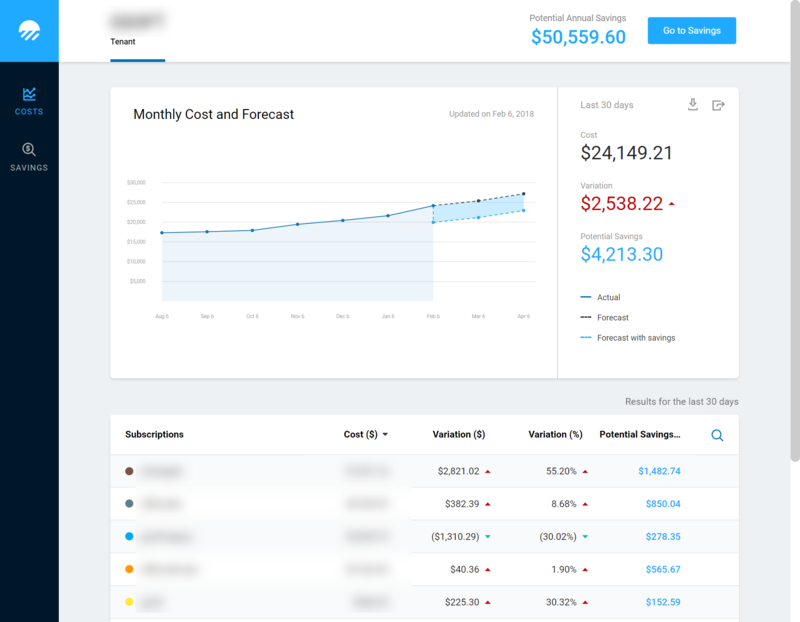 We created this tool because we weren't happy with the market offering and wanted to make a cloud spending and governance tool that will educate people, is efficient, and just damn simple to use. In most companies I've seen, there is almost always a recurring pattern in the first years. They are less and less used to being no longer used at some point. After sometimes, often a year or two, someone will wake up and realize that their cloud spending is a bit out of control and definitely not cheap at all. To be frank, in a lot of situations, the cloud does not end up being cheaper than OnPremise resources but the advantage in the cloud is that you pay for what you use, and only when you use it. Now that they realize that they are not that much in control and need better visibility over their spending, comes the period to lookup for tools to help. This is why are decided a couple of months ago to create our own tool, and we believe we did a great job. At the moment, there are two main functionalities in Overcast: Costs and Savings. In Costs, you can in a glimpse, see all your spending over time and if you are doing better and worse than previous months. And Savings, this is where you'll find our recommendations about potential savings you can make. There is a free trial so you can checkout Overcast by yourself if you are curious or very interested in being more in control over your Azure`s spending and governance.